The folks at Neowin made an exciting discovery at E3 this week. Originally teased as an April Fools’ joke over a year ago, Hyperkin’s Smart Boy was not only on the show floor with an updated design this year, it was also fully functional, with a possible official release closer to December. Designed to be a better way to play retro games on your smartphone without having to resort to awful on-screen touchscreen controls, the Smart Boy has a button layout, and colour scheme, reminiscent of Nintendo’s original Game Boy. 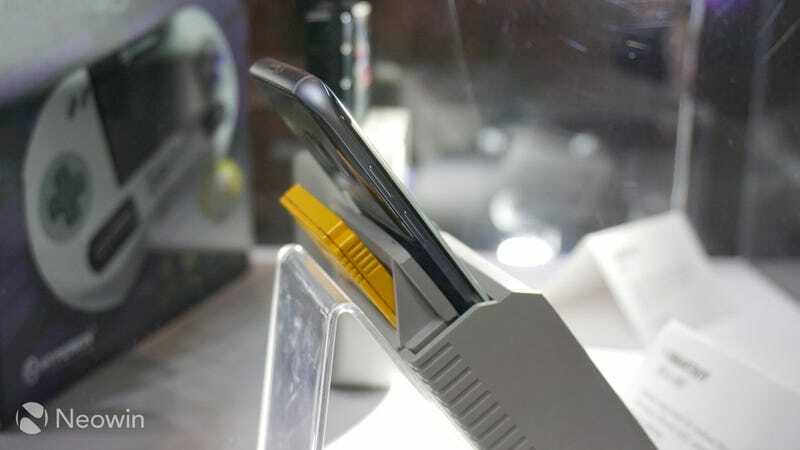 It even accepts classic Game Boy cartridges via a slot on the back, presumably via emulation hardware inside, and using a smartphone as just a display.